For the second year in a row, Dalworth Restoration has joined with the principal of Trinity High School, a local area high school, to treat a great group of kids to an event they will remember for a lifetime. We asked if he could recommend a group of students that were excelling in school but didn't necessarily have the financial means to experience events outside of school. In other words, they may not be economically advantaged to partake in fun attractions such as a professional sports game, concerts, or an amusement park. The idea was to treat those students to a couple of hours filled with fun and most likely something they had never experienced before. Last year we took 20 students to IFly, an indoor skydiving facility in Hurst, TX. To say that the kids were "floating on air" would be an understatement. The smiles on their faces were a mile wide and each and every one of them thought it was "the coolest thing ever". It was a big win for everyone involved. 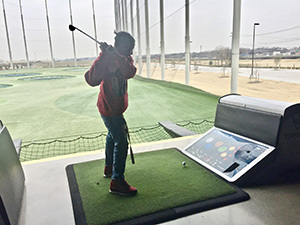 This year Dalworth chose Top Golf in Fort Worth as the destination due to its laid-back atmosphere with food, games, and a whole lot of fun. The principal put together a list of students from Trinity as well as students from two other area high schools, Bell High School and a Vocational School. Communications were sent to these students asking if they would like to participate in the outing. Those that agreed, had to sign permission slips which the schools returned to Dalworth. Since the event was going to be held over Christmas break, we really weren't sure how many would be able to attend, but out of 25 kids, 15 signed up. 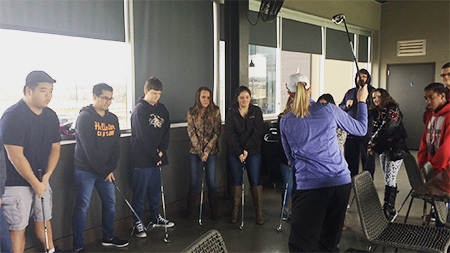 The kids met at each of the schools, we picked them up, and off to Top Golf we went. It was a quiet ride, but that would soon change. Once we arrived at Top Golf the food which we had selected, sliders, chicken tenders, fruit, and cookies, was already set up in our designated area, along with a soda station. We had blocked off three bays for the kids to play in and it happened to be just enough room. Luckily the bays had heaters because it was a bit chilly that day. However, I think the only ones complaining about the cold were the chaperones – the kids were fine. Ahhhhh to be young again. 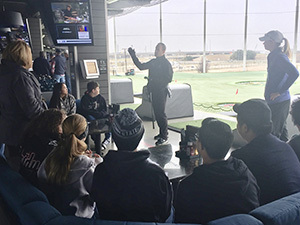 Before the kids grabbed their food, the server assigned to our group, as well as one of their professional trainers, went through some basics of the game and Top Golf. 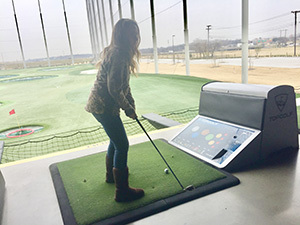 They showed the kids how to operate the scoreboard, how to get golf balls, the point system, where to aim the ball, and where not to aim the ball. They also gave the kids a quick tutorial on how to swing, introduced some tips and tricks on how to hit the ball, and explained the meanings of the different clubs. At first, the kids were a little shy; they were nervous that they weren't going to do well. But once a couple of them started hitting, or sometimes not hitting (completely missing the ball), more of them jumped in and began trying it for themselves. This was not a competition, everyone was bad, but that was okay. The point was that no one had ever played golf before, just to try it and have fun with it and each other. What ended up happening over the next few hours was pretty spectacular. All the kids participated, some had fun contests within their groups, and everyone was very supportive of one another, whether they did good, bad, or otherwise. As we headed back to the schools, the kids were talking and laughing the whole way back; quite different from the ride in. It was if something had changed inside of them from when we picked them up until now; maybe it had. We were just happy to provide these kids an amazing time in their lives, one they would remember forever. And we can't WAIT to do it again next year!